Good to see a familiar face! After missing the two alarms I set for myself in the morning I was already running late. I guess the lack of sleep whilst travelling finally caught up with me. Once I got to the Atana Hotel it must have been about midday. For a few weeks I had been in contact with a friend and work colleague from my previous company. We both no longer work for Lilly. His wife is a Consultant (Specialist Doctor) and has got a new role based in Eir, in the United Arab Emirates, about 1hour 30 minutes drive from Dubai. In our small work team Emaddin was a good friend and great work colleague and it was great to catch up with him. 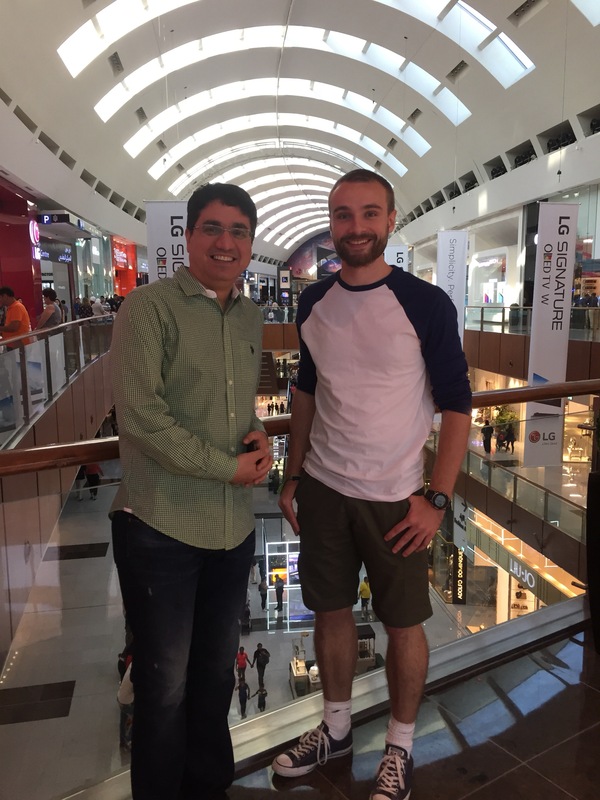 We drove to the Dubai Mall, next to the Burj Khalifa, and my word this Mall was incredible! I have never seen anything like it. It’s amazing here! Previous Post The bar might have been set too high?! 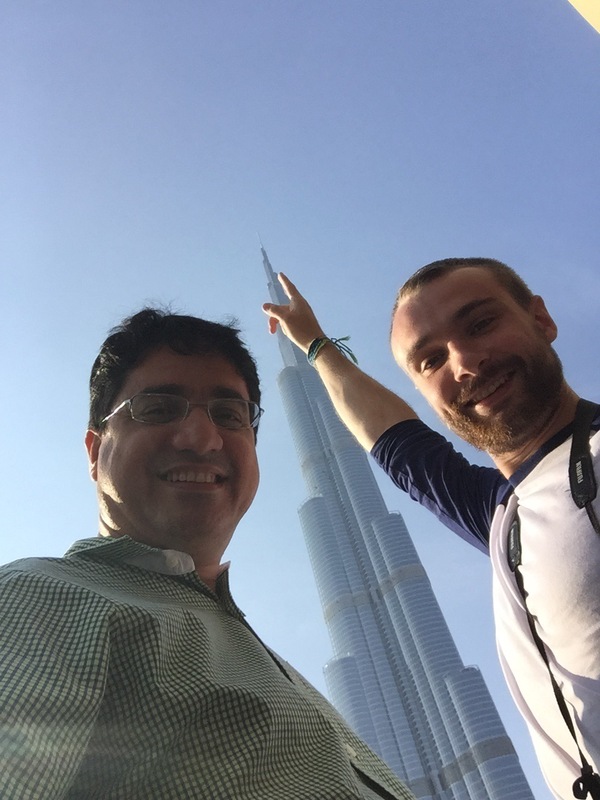 Next Post Burj Khalifa… the tallest building in the world!